Published in 1990, Fishes of the Southern Ocean was the first book to bring together all of the identification information for fishes living in Antarctic waters. Recently, Te Papa hosted visiting editor Ofer Gon as he undertakes research for a second edition. 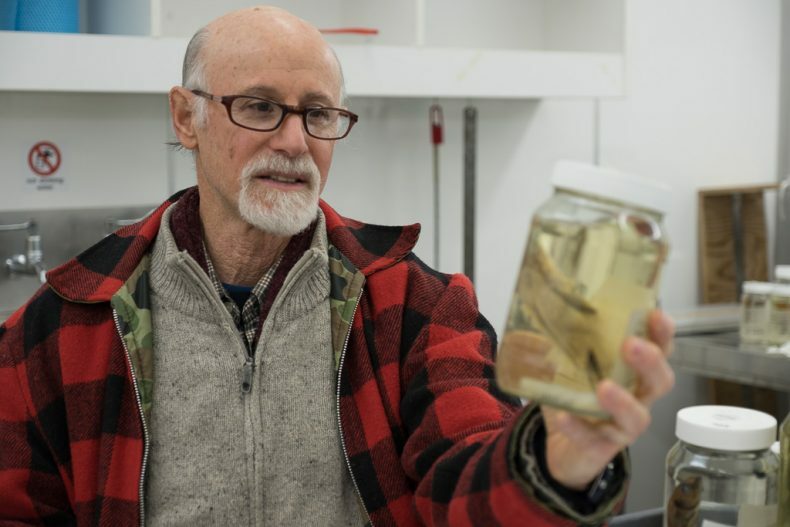 We caught up with him and Te Papa’s fish expert Andrew Stewart to find out what has changed in those icy waters over nearly three decades. Kia ora Ofer, where are you visiting us from? Ofer Gon: I’m from South Africa. The name of my institution is the South African Institute for Biodiversity. And what is your speciality? OG: I’m retired now, but I was trained as a fish taxonomist. Fishes of the Southern Ocean was published in 1990 – what made it so popular? OG: Fishes are an important source of protein for people. It’s the only source of vertebrate protein that we use directly from natural populations – every other vertebrate animal that we use for food is cultured or farmed. Fish are taken directly from nature. If you want to keep up with exploitation you need to know exactly what’s going on and what you’re catching. The Southern Ocean is different because it’s an international area. There are claims by different countries, but because of the Antarctic treaty, no one actually uses the claim. The agreement to use the continent and the ocean around it for scientific research and produce benefits all humanity. OG: In both versions of the book we follow the definition of the Southern Ocean that was adopted by CCAMLR (Commission for the Conservation of Antarctic Marine Living Resources). The outer margins are defined by the Antarctic Polar Front, an oceanic front that separates two temperature zones: the very cold Antarctic (<2 C), and the slightly warmer sub-Antarctic. OG: It’s not the only collection, I was also at Hobart. These two collections [Te Papa’s and the CSIRO’s in Hobart] have only started getting serious amounts of fish from the Southern Ocean after the first edition in 1990. I wanted to close this gap. You guys go to a particular part of the Southern Ocean that wasn’t covered when the first book was published. The bycatch from these trips is very important. The Antarctic toothfish that the fisherman get are amazing samplers, they catch all sorts of things that we never get to see. Andrew Stewart: Every New Zealand-flagged vessel that goes to the Southern Ocean carries two observers, a NZ fisheries observer and a CCAMLR observer. One of their jobs is to collect bycatch material. They bring it back and it’s deposited here. Prior to that, we had virtually nothing from the Southern Ocean. Since the book was published we’ve had two major expeditions down there, funded by the New Zealand government. First in 2004, which sampled around the Balleny Islands and one in the Ross Sea in 2008, right down to the ice edge. Between those two trips, sampling methodology, and other work, we’re building up a large collection of material from that region. Have you had any extraordinary finds that have come through bycatch? OG: Yes! Between here and Hobart we’ve got about four or five new families we never had before and a whole bunch of new geographical records. And what makes fish species of the Southern Ocean so unique? OG: There is one large group of species in the Southern Ocean, mostly in the continental area that has evolved in Antarctica at a different trajectory to species in other continental areas. When Antarctica separated from Gondwana and Antarctica started to get cold, its fauna went through a major transformation. Much of it became extinct and new forms evolved that adapted to the cold conditions. Basically, the unique thing about Southern Ocean fish is that they have adapted to live in water with ice and have developed what we call biological antifreeze. They can live in those continental waters that are almost -2 degrees. 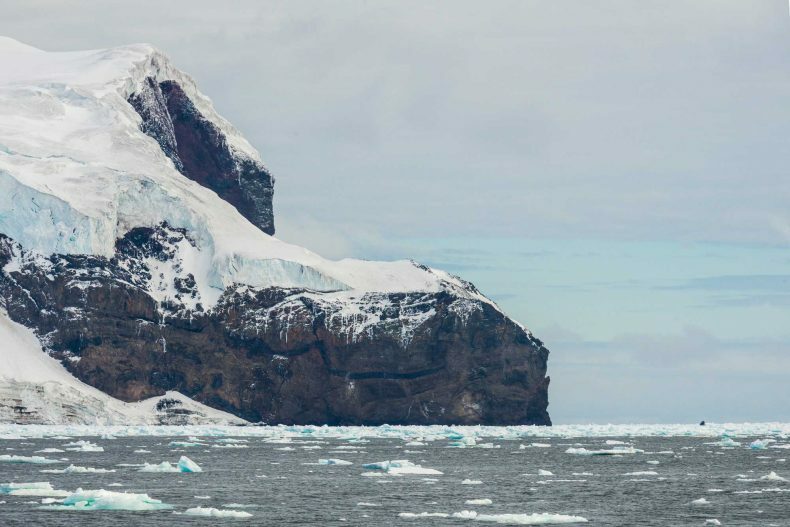 The first sailors to find fish in these waters back in the 1800s on the Antarctic Peninsula couldn’t believe it. Are you here to just look at new species, or to make comment on the effects of a changing environment? OG: There will be that as well. The book is not just fish but the physical environment the fish are in. There will be a chapter on the oceanography of the Southern Ocean and that will deal with the effect of global warming on the Southern Ocean. Of course that will have an effect on the fish. I have an example of it in my part of the world, south of South Africa, and I’m sure there will be others. Some of our new discoveries may have been there before but we didn’t know about them because we didn’t catch them, but a couple at least, you can probably assume that they started migrating southward because of global warming. Andrew will tell you that some of those four species that represent the big Antarctic group that are in New Zealand, have already started moving southwards. AS: Ofer asked me if I had noticed any shifts in fish distributions that could be due to climate change. I told him that I hadn’t seen either a māori chief (Notothenia angustata) or thornfish (Bovichtus variegatus) in Wellington waters for many years. 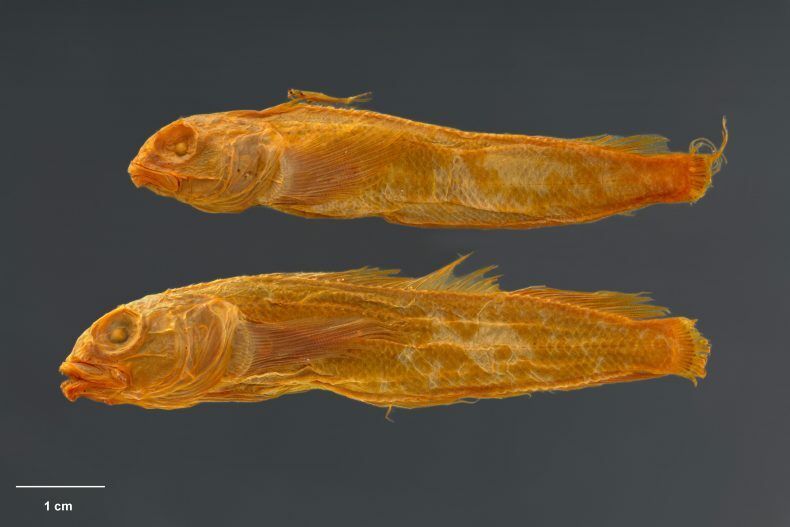 In addition, the black cod (Paranotothenia magellanica) had vanished from mainland waters around the South Island, and the smallscale cod (Notothenia microlepidota) had become very uncommon. These four fishes are notothenoids – the group of fishes that ‘define’ the Southern Ocean fish fauna. What in our collection has caught your eye? OG: I’ve seen a specimen here that I can’t place anywhere. It could be something new, but we are not sure yet. There is a New Zealand vessel that goes to the Ross Sea and it has treasures that we are not aware of yet. We need far more research. But the biology of this species is tricky – there’s not much to see, it is bycatch, stomach content, after all. This fish is coming from the stomach content of an Antarctic toothfish and it was picked up at 77 latitude south. Very cold water, -1.9, -2 degrees. We know the family it belongs to, but that’s about it. How do you begin to identify or place a species? OG: When we do taxonomic research what we are looking for is characters that are unique to a particular species or a genus or a family or something like that. We do that by using meristic characters – amounts of fin rays, number of fins, etc. Or we take measurements, we look at proportions, and this thing doesn’t fit with anything! It’s out of the range of anything we know for that particular family. Last question: Has Andrew taken you for any good fish and chips yet, and are they better than the fish and chips you get in South Africa? OG: I don’t think so. None yet! This is my fourth time in New Zealand… But this was my point earlier: New Zealand is a maritime nation – you depend on fish for food. The work that these guys are doing in New Zealand is absolutely essential for maritime nations. Your researchers and fish biologists depend on this collection for their work. This collection is a national asset for New Zealand.